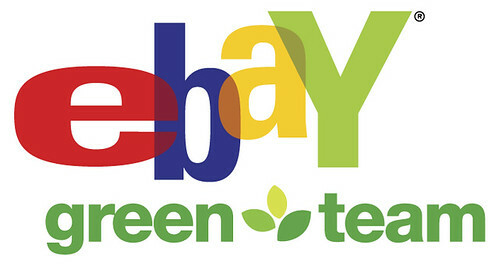 Tag Archives for " Earth Day "
eBay and Hearst, the magazine publisher, have teamed up to create a the 30 Days of Green Challenge to coincide with Earth Day 2010. The Challenge asks participants to consider a variety of ways to act in ways that are friendlier to the environment. The associated web site offers tips and advice as well an opportunity to win $10,000 and a host of other prizes throughout the campaign. Disclosure: I am a presenter for the eBay: On Location series and witnessed first hand some of eBay’s commitment to environmentally friendly practices first hand. The annual Earth Day celebration is a nice opportunity to focus on some of the not so earth friendly practices that small business owners can easily fall into. Without a doubt small business owners can and should 1) recycle, 2) shut down computers at night, 3) turn out the lights, 4) ride a bike to work, 5) use web technology to eliminate routine cross town meetings, but . . . in my opinion the greatest environmental gains are available from buying local, buying from each other, getting the parts and products you use locally and emphasizing that your customers, referral sources and strategic partners do the same.